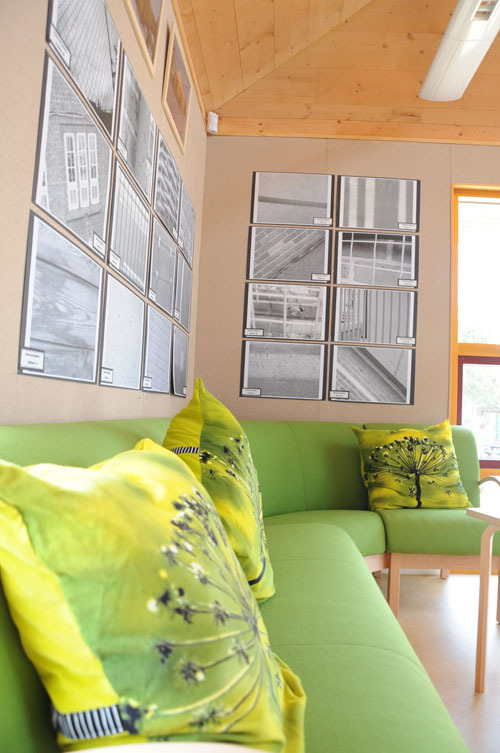 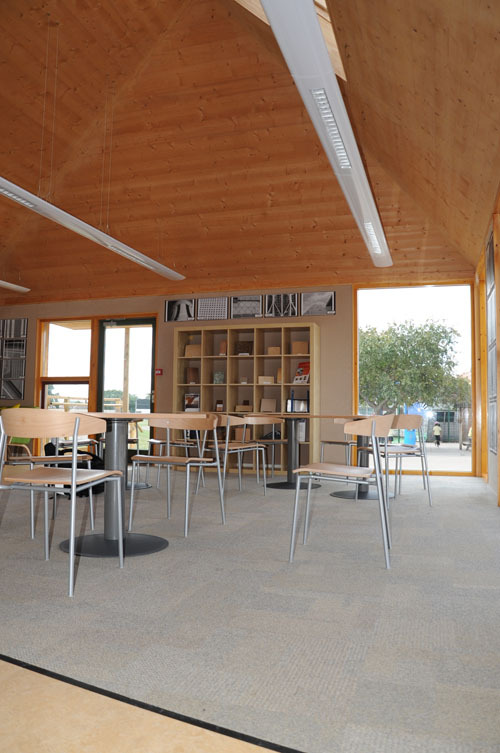 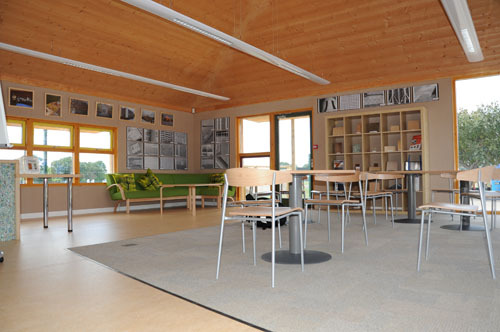 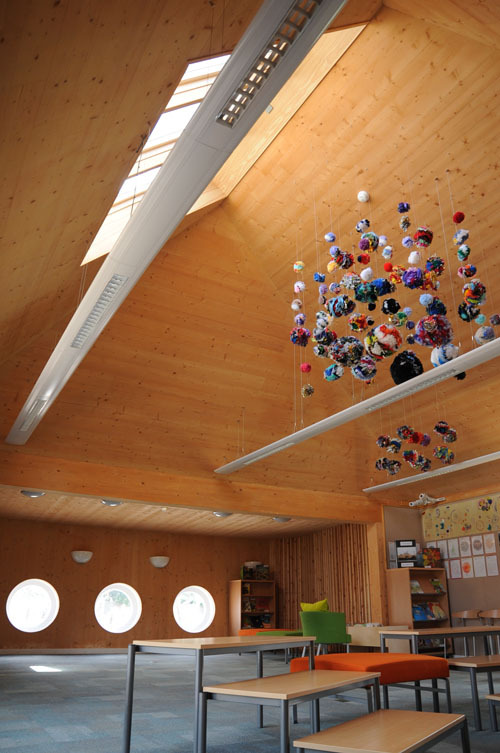 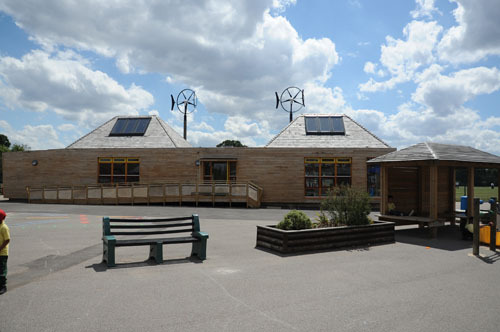 Construct eco-building; prefabricated, solid timber wall, floor and roof construction. 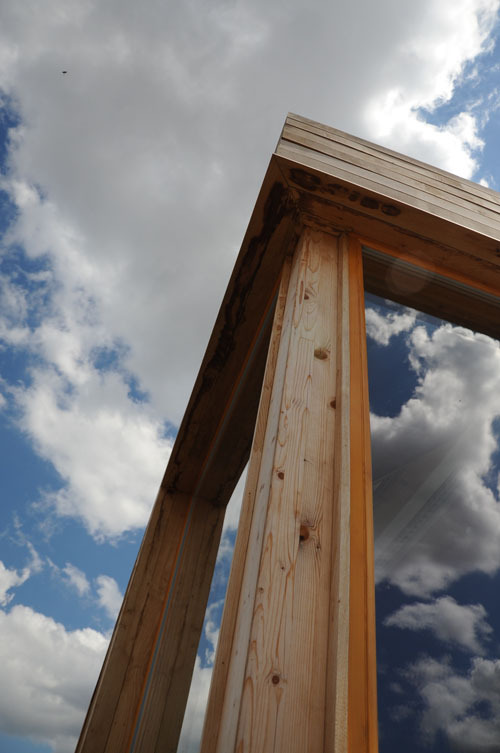 Timber fibre insultation and locally sourced sweet chestnut cladding. 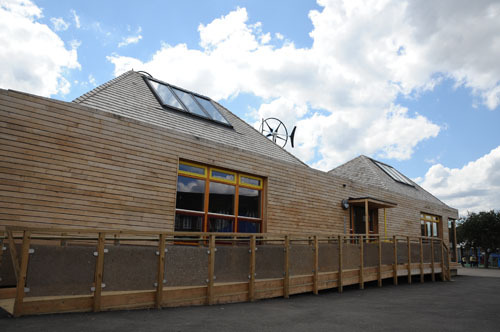 Natural ventilation linked to high level openings. 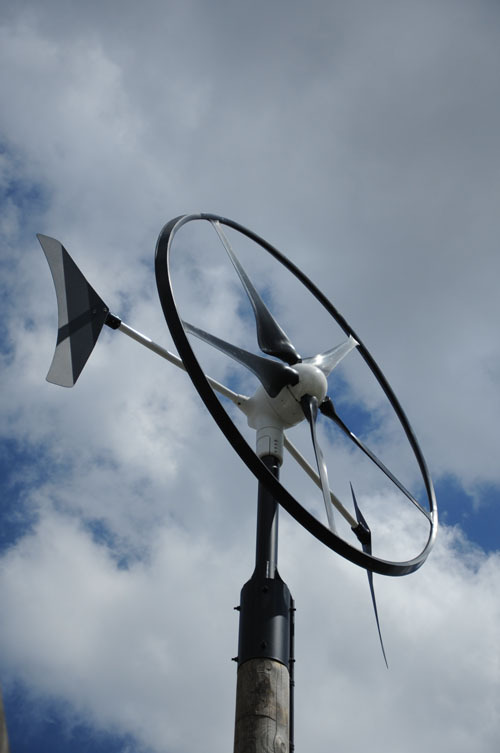 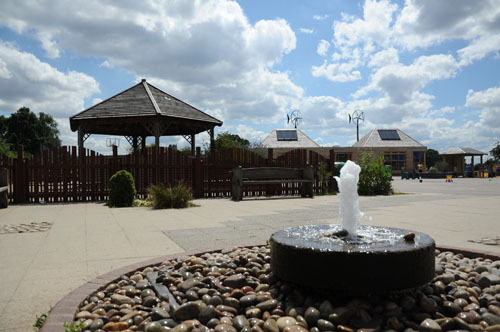 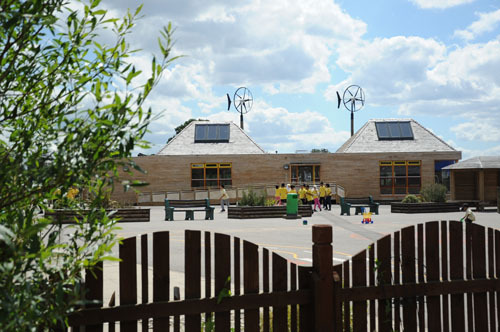 Air source heat pumps, Photovoltaic roof tiles, rain water harvesting system and twin wind turbines. 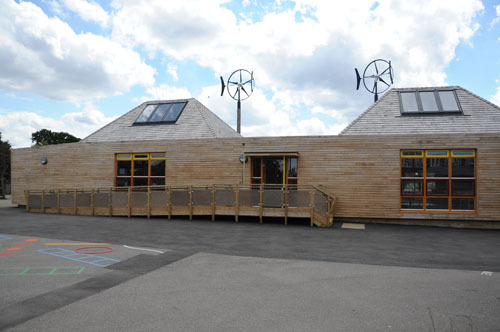 Zero carbon design.